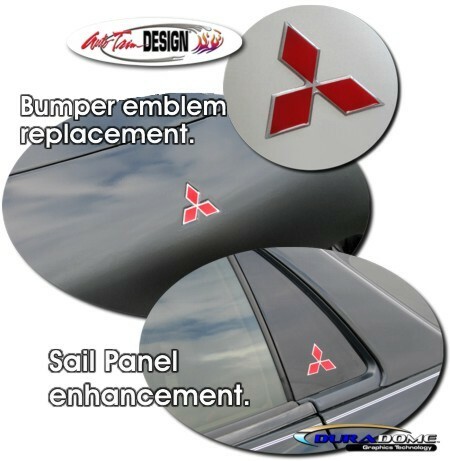 Detail your Mitsubishi 3000GT / GTO with this awesome "domed" diamond gem. "Domed" decals are not just vinyl decals. They are a tactile, three (3) dimensional decal that look like a factory manufactured emblem. This decal is fit perfectly to replace the factory bumper emblem and can also be used just about anywhere to enhance your vehicle as shown in the picture.